Share Jack with all your friends. North Hollywood Auto Repair is a AAA approved repair facility. We have have been serving No. Hollywood, Sherman Oaks, Van Nuys, Burbank. Toluca Lake and surronding areas since 1937. We have always been known for our expertise with current automotive technology. We have the equipment and knowledge to perform repairs and service on most electronic systems such as antilock brakes (ABS), airbags (SRS), tire pressure monitoring systems (TPMS), engine control modules (ECM), check engine light diagnosis, body control modules (BCM), digital instrument clusters and electronic ignition systems. We are licensed as a State Certified Emissions Repair Station and Smog testing. Our primary focus is on preventative maintenance. We have all the equipment needed to perform factory scheduled maintenance to help keep our customers in dependable transportation. We offer a vehicle inspection program that is second to none and has proven to reduce the cost of vehicle ownership. 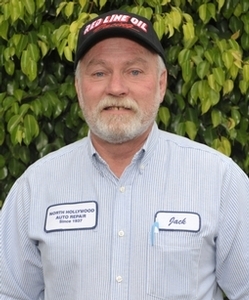 Visit our website at northhollywoodauto.com to read our certified testimonials.